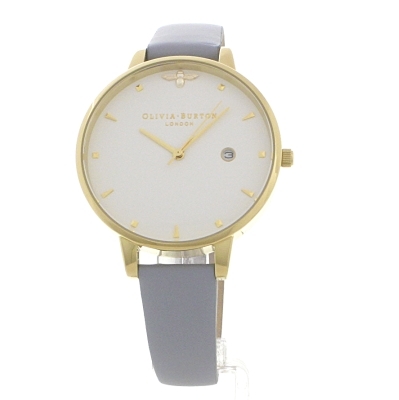 Olivia Burton Queen Bee Chalk Blue & Rose Gold OB16AM123 is an amazing and attractive Ladies watch. Case material is PVD Gold plated, which stands for a high quality of the item and the White dial gives the watch that unique look. The features of the watch include (among others) a date function. We ship it with an original box and a guarantee from the manufacturer.